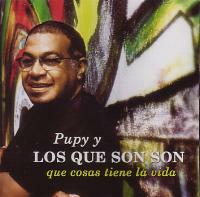 PART 1: Pupy's Compositions for Los Van Van - Pupy's first recordings came in the late 1960s during Revé's changüí 68 style period. In 1969 he recorded the first of 20 studio albums with Los Van Van. He wrote his first Los Van Van song, Con el bate de aluminio, in 1979 for their fifth album. He would go onto to write about 30 more, including some of their biggest hits, before leaving the group in 2001. 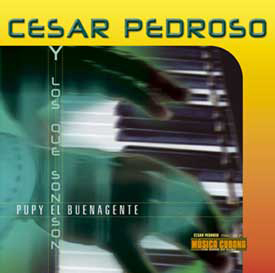 The first section of our discography lists all the songs which Pupy wrote for Los Van Van, including the collaborations with Rodolfo Cárdenas. PART 2: Pupy's Solo Albums While a Member of Los Van Van - Pupy recorded three solo albums in his last decade with Los Van Van, described in this section. 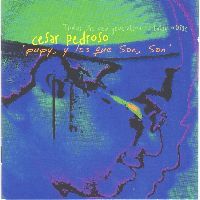 We also explain the confusion resulting from the two albums he released in 2001 - one before and one after the formation of Los Que Son Son. The albums have similar tracklists, but are very different. 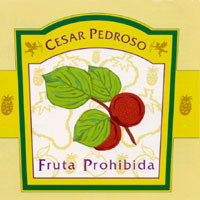 Click on the album for the review. 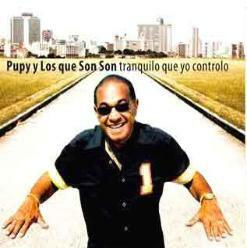 PART 3: Pupy Pedroso y Los Que Son Son - When Pupy left Los Van Van, he called on José Luis "Changuito" Quintana, who had left the group in 1993, to create a new rhythm style or sello for the group. Changuito rose to the task, creating a new songo-timba hybrid that has turned out to be one of the most exciting innovations of the 2000s. Changuito chose the cream of the crop of the young percussionists, most of whom he had taught at la ENA. Among them was drummer Roelvis "Bombón" Reyes, who also turned out to be an excellent and very sophisticated arranger in his own right. Pupy also began writing much more prolifically and assembled a phenomenal front line of Tirso Duarte, Mandy Cantero and Pepito Gómez. 2002 - Qué cosas tiene la vida - Pepe Martínez has contributed a very insightful review of the debut album. (Tenemos la revista está en español también). There are about three dozen audio examples and extensive analysis of the lyrics and contrasting vocal styles of the three singers. 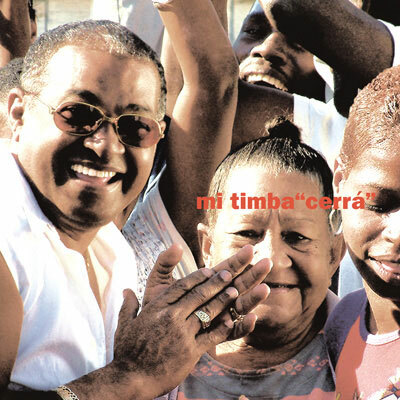 Our review of "Timba: The New Generation of Latin Music", above, contains additional information about this album. 2008 - Tranquilo que yo controlo - This album, while it failed to win the 2008 Cubadisco award, is almost universally considered to be one of the two or three best albums of the 2000s. 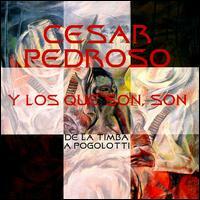 It's also the last album with Mandy Cantero and Pepito Gómez who wrote several of the best songs.